The budget middle segment is difficult to compete with. While Xiaomi is the boss, Honor, and Realme have played hard and fast to close the gap. 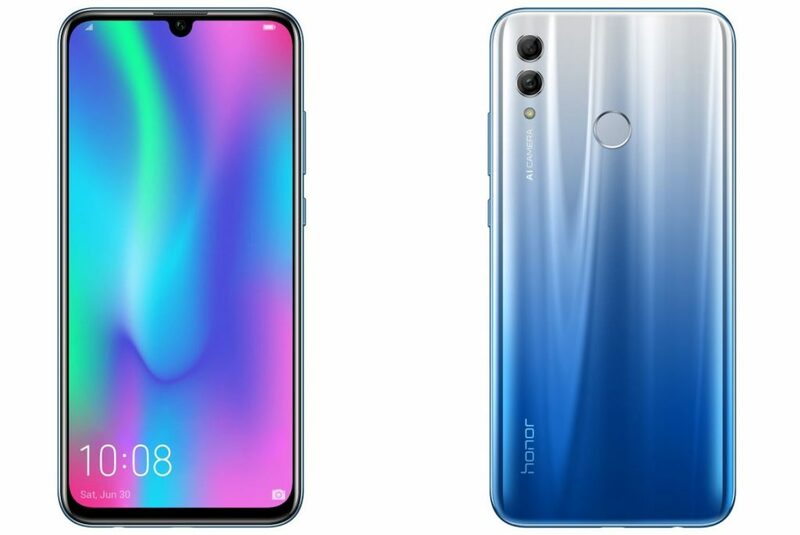 Honor’s first phone for 2019, the Honor 10 Lite, combines great aesthetics with mid-range specifications. Add a competitive price and you are looking for an interesting option for budget seekers with a smartphone. Is it good? We try to find that out in our Honor 10 Lite Review. There is no doubt that the Honor 10 Lite is a beautiful looking phone. 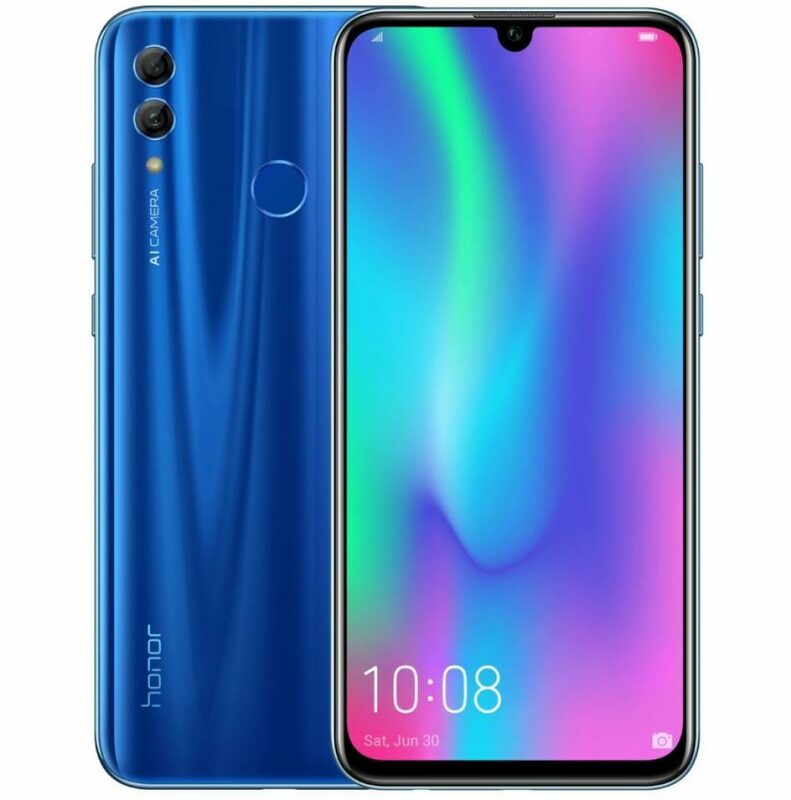 An essential Honor device, it builds on the design language of the Honor 8X and ticks all check marks for 2019 design trends. The first thing you notice when you pick up the phone is the striking glossy back. The color gradients shift when you move the phone and look amazingly bright in the right light. Suffice it to say that the phone looks much better than competing devices such as the Redmi Note 6. The company has opted for a completely plastic model that is similar to the Honor 9 Lite. The use of plastic can make the phone more resilient to fall, but the back is a magnet for scratches and wear. You will have a hard time keeping it clean. Honor bundles in a simple TPU case and we advise you to use that. Ergonomics on the Honor 10 Lite is on point. Despite a large 6.2 inch screen, the 19.5: 9 aspect ratio leaves a long way to hold the phone more easily. The longer screen fits comfortably in the palm of your hand and reaches out to the rear-mounted fingerprint scanner and the volume and power buttons are easy. Talking about buttons, placed on the right, the volume button and the on/off button both have enough click and have reassuring feedback. That does not mean that the hardware is perfect. The choice for a micro USB charging port is baffling. When we mentioned this in our briefing with Honor, the company claimed that they did not want to alienate existing users who had invested in micro USB cables. We believe that USB-C cables are sufficiently obvious and also cheap enough for the company to encourage users to migrate. But hey, at least the phone sports a headphone jack! At the bottom, the phone has a single bottom speaker that sounds pretty loud. The sound quality of the loudspeaker is not particularly good and sounds very shrill when you turn it aloud. If you use the loudspeaker while gaming, your hand probably covers the speaker and mutes the sound. 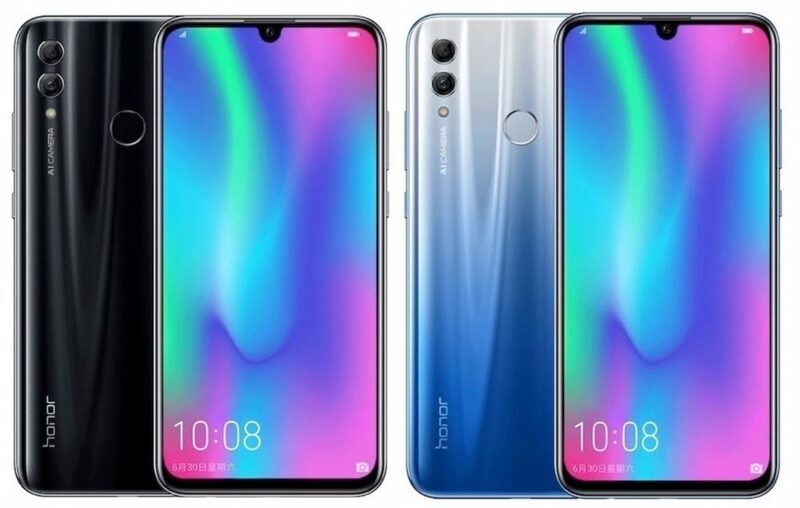 The Honor 10 Lite achieves a screen-to-body ratio of more than 90 percent by using an LTPS LCD screen. Thanks to the chip-on-screen technology, Honor has been able to move most of the display driver silicon behind the screen and has a leaner chin. Couple that with the notch waterdrop and you look at a phone that places the screen in front, right and in the middle. The Full HD + resolution panel is a key to the course and looks clear. High-quality content from YouTube looks good, although you can not stream Full HD videos from Netflix because the phone does not support Widevine L1. Honor tends to use screen panels that evolve into supersaturation. On the Honor 10 Lite, this is usually the case with the standard Vivid mode. The color matching in the vivid mode has a pronounced distortion towards cooler temperatures, leading to a striking blue tint. Switching to normal color mode solves this. The built-in display customization tool is quite robust and allows you to make grainy changes in the direction of warmer or cooler shades. Although we do not have a definitive figure for how bright the screen is, it was sufficiently clear for indoor use. Outdoor visibility can be touched and lost due to how reflective the screen is. Like many other Chinese smartphones, the EMUI 9.0.1 on the Honor 10 Lite draws inspiration from iOS for its overall design. The software shell is built on top of the Android Pie and does not use an app drawer by default. However, you can go to the settings to switch to an app-based interface. Once you have passed the mild tackiness of the knock-off icons, the interface and overall implementation are not that bad. Honor has done a pretty good job by applying functions such as gestures when navigating through the interface. You’ll find a few good pre-installed apps on the phone, including Honor Club, Honor Care, Health, Huawei App Gallery, Themes, a phone manager, Compass, Phone Clone, Party Mode and Ride Mode. There is even an app for switching between emergency services. Most of these can not be removed. Then there are the obvious domino features such as Digital Balance that copies the digital welfare functionality built into Android 9.0. Or how about HiTouch that allows you to identify objects in an image and purchase them via Flipkart. Further on, the phone has face recognition support to unlock your device. It worked reasonably well, even in not so much light and was more often than not, faster than the standard fingerprint-based unlock. Earlier in this Honor 10 Lite review, we discussed how the phone builds on the hardware of the Honor 8X. The phone uses the exact same chipset and the performance does not go too far. The Kirin 710 SoC is a mid-range processor and offers a combination of four Cortex A73 cores and four Cortex A53 cores clocked at 2.2 GHz and 1.7 GHz respectively, arranged in a big.LITTLE configuration. This is linked to 4 GB or 6 GB of RAM, depending on the variant you choose. Storage on both variants is 64 GB, which is perfect for a smartphone from the middle segment. You can further expand this via the microSD slot. Although the phone has dual SIM options, it uses a hybrid SIM slot. What this means is that you can slide in double nano-SIM cards or give a lock to expand the storage via micro SD. The phone supports VoLTE on both slots. There are also other interesting additions, such as the possibility to share a WiFi connection via a local hotspot. This can be useful if you are in a hotel or conference and have access to only one device. You can connect your laptop or other devices by telephone by sharing the WiFi network via a hotspot. The day-to-day performance is good, but no one would confuse the Honor 10 Lite with a powerful game device. Occasionally the phone would stutter or drop a frame while navigating through the interface. However, it is not that bad and for the most part, the phone stays very fast while you switch between apps. Multitasking performance is not that great and the phone is usually very aggressive with memory management. We would often have to restart a game of minutes after jumping between apps. Not something that you would expect from a phone with 6 GB of RAM. The Kirin 710 chipset used by the Honor 10 Lite is more powerful than the Snapdragon 660 which is often seen on Xiaomi’s phones but pales in GPU performance. Despite GPU Turbo, a low-level graphical processing framework that solves framerates, gaming was not something to write home about. In PUBG the phone could not hold a fixed 30FPS with the graphics settings on medium and we observed texture pop-in while playing the game. Speaking of network performance, I live in an area with very poor network coverage, but the Honor 10 Lite simply managed to connect and more importantly, to stick to the Airtel network. Telephone conversations sounded loud and clear about the earpiece and I rarely encountered conversations. If you are looking for a smartphone that excels in calling, then the Honor 10 Lite must be high on your list. In recent years, dual camera modules have become standard in product categories and the Honor 10 Lite is no exception. First, the transition to a vertical orientation for the camera is a small but refreshing change in the design. The rear camera module itself has a 13MP sensor that is combined with a 2MP depth detection module. The 13-megapixel makes pretty detailed photos as long as there is sufficient ambient light. The built-in AI mode tends to supersaturate colors, which is good if you want to edit your photos before placing them online. You probably want to keep it off if you’re looking for authentic-looking colors. The camera does not do well in brightly lit situations and tends to blow out highlights. The AI mode can activate HDR when it feels, but there is no direct switch to turn it on. You will have to scroll all the way to a separate tab to activate the HDR mode. The portrait mode on the Honor 10 Lite is strictly average and works pretty badly in identifying edges. There are a few built-in options for studio effects, but they do not compensate for poor image quality. The function comes across as a gimmick and we would not really recommend using it. In low-light imaging, most phones falter at the entry level. Unfortunately, the Honor 10 Lite also does it pretty badly. The camera app adds an excessive amount of noise reduction to the image, giving the final shot an almost blurred appearance. The resulting images are usually unusable. Switch to the special night mode and things improve a bit. The mode uses an exposure of 4 seconds with electronic stabilization to improve the exposure and detail levels in the image. The resulting images are usually brighter and too sharp, making them look good on the phone screen. However, zoom in on the image and you will see an almost watercolor-like effect that fades fine details. 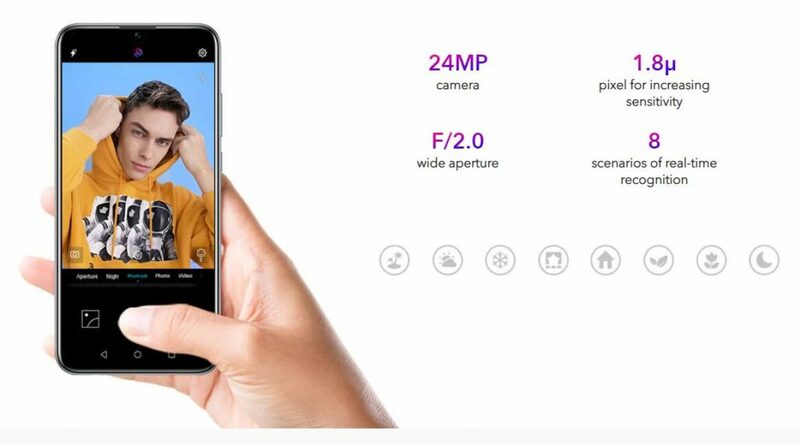 The front camera of the Honor 10 Lite uses a 24-megapixel sensor. The idea here is to use pixel binning to improve image quality. Even with all beauty modes turned off, the photos were usually a bit soft. Portrait mode with the front camera did very badly at edge detection and we really can not recommend using it. Unfortunately, the front camera is in portrait mode every time you turn it on. Video recordings on the Honor 10 Lite make the peak at 1080p 60fps, although there is also a wider aspect ratio of 18.9:9 available. There is no stabilization at all, electronic or optical, which makes camera movements very clear in visual material. The Honor 10 Lite has a 3,400mAh battery that can seem disappointing to many users. The phone competes in a category where 4,000 and even 5,000 mAh batteries are the norms and no way of software optimization can make up for significantly larger cells. In the course of the assessment, the phone delivered on average 6 hours of screen time. The pattern of use consisted of a mix of viewing videos, social media, and a few phone calls. Gaming takes a decent bite out of the battery with a 20-minute PUBG session that flows nearly 10%. It takes a whole day and then some, depending on your use, but avid gamers will probably be disappointed. As one of the first smartphones to be launched in 2019, the Honor 10 Lite offers the most features people care about. Whether it’s the first-class design, the water drop notch or the good internals, this is a phone that looks fresh. However, the performance of the camera leaves you disappointed and while Xiaomi is preparing for the ante with the Redmi Note 7 camera with 48 MP camera, Honor will certainly feel the heat. The 3,400 mAh battery is also not really the best in the segment. The phone does not have much more than looking for it. With both Realme and Redmi expected to launch aggressive competitors, potential buyers should have ample options in the coming weeks. That’s all for our Honor 10 Lite Review. Do you like this smartphone? Let us know in the comments section below.